To enjoy 7 endemics and many more resident, wintering birds. One night lodge in camp . Cinnamon rump seedeater - Sporophila torqueola. 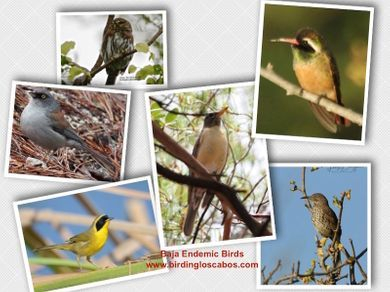 If you don't have enough time but want to enjoy the endemics of Baja California this program is for you , but be aware that you will need to be in good shape to accomplish the endemics in the minor time possible so it will be little rushed percentage of success to see them all 98%. Enjoy 2 different venues to enjoy 4 endemics .